May 2011: Mr. Lucky’s 24-7 is a restaurant that has been featured on a few Vegas specials on the Travel Channel and also on Food Network. The main draw? They’ve got a secret menu item for $7.77. 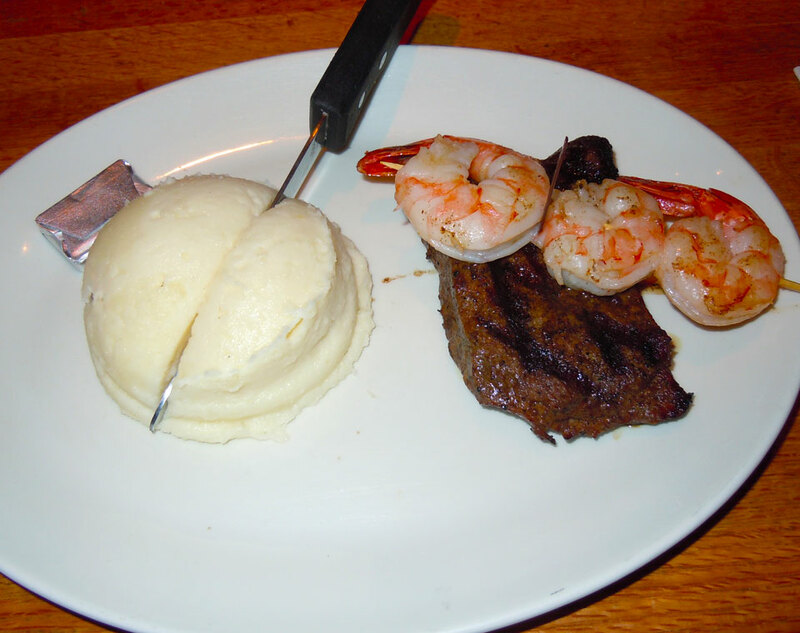 It’s a Steak & Shrimp special. That’s right. 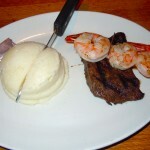 For $7.77, you get a dinner salad, shrimp, steak and mashed potatoes. It’s a solid deal, and totally worth it. I don’t have much to say about it other than that. The service was excellent and the price was right. 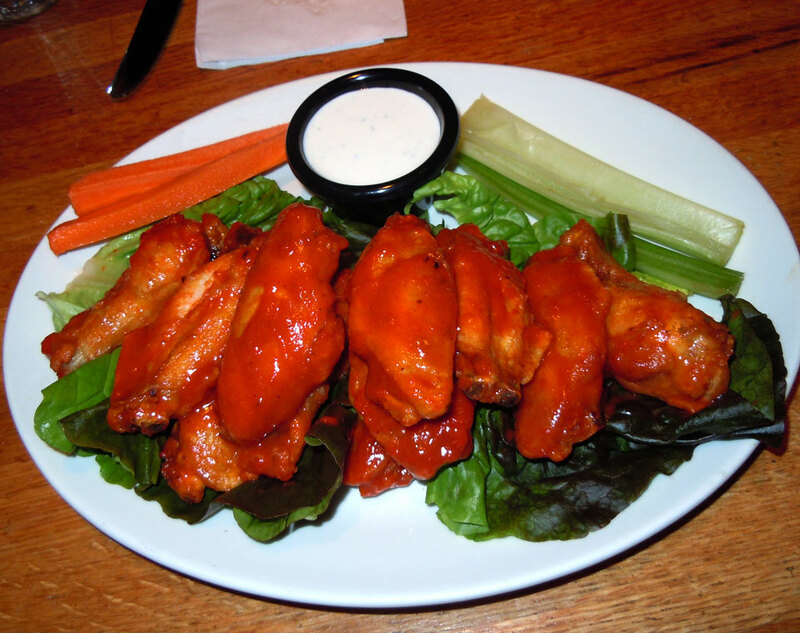 We ordered a plate of chicken wings and the steak special. The wings were nicely presented, tasty and there was plenty of sauce. The dinner salad was reasonably sized. The steaks were on the small side, but for the price, they were pretty good. Hell, if you were that hungry, you could order two specials, have plenty of food and still spend like $15. Try that at Outback. To be fair, the rest of the menu looked pretty pricey for the food you got, but that seemed typical for Vegas. Would I eat there without the available special? Probably not, but with the gambler’s special, it seemed like a great deal. The service was quick, and it felt kind of cool to order a special that’s not on the menu. If you’re at the Hard Rock Hotel and Casino in Vegas, stop in at Mr. Lucky’s 24-7. It’s one of the best deals in Vegas.